Practicing environmentally sustainable practices in a professional equestrian setting. We offer training in both jumpers and dressage and limited boarding for our training clients. 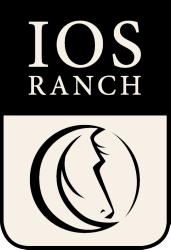 Remodeled in 2011, Ios Ranch is now a showcase for sustainable equestrian practices. We have been recognized by local leaders as a model for keeping horses in a competitive training setting while reducing our impact on the environment. We breed, buy, sell and train warmblood sporthorses. Our horses are bred and trained to be sensitive and careful—qualities that allow them to excel in the competition ring. ​Copyright © 2018 Ios Ranch. All Rights Reserved.